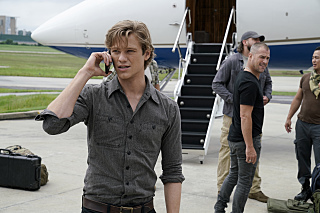 Tonight has the season premiere of a PCR Favorite, MacGyver, our Top Pick to Watch Tonight. Also on, Wynonna Earp, as well as the season premieres of the resurrected Last Man Standing and the newest season of the long time cooking competition. Hell’s Kitchen. Last, the series premiere of one of the Fall’s new comedies, The Cool Kids. Our Top Pick to Watch Tonight, is The Greatest Showman! Come to the other side and live a little crazy with this wonderful film. Also on, Wynonna Earp and Killjoys over on Syfy. See you on TV Talk! Our Top Pick to Watch Tonight — 15 networks will simultaneously air the annual live event, Stand Up To Cancer at 8pm (ET). Also on, The Killer Closer on ID, and Wynonna Earp and Killjoys over on Syfy. Our Top Pick to Watch Tonight — new The Killer Closer on ID. Also, a new episode Wynonna Earp on Syfy and ABC Celebrates WE Day. Fridays in the Summer are rough. See you on TV Talk! Its Fireball Friday which can only mean one thing?!? You need to tune into TV Talk with Jay and Mike (https://somanyshows.com/sms-on-air) at 9/8c!! You DO NOT want to miss tonight’s show! Also, Overwatch League Playoffs continue tonight!! Elsewhere, Quantico, Cooper’s Treasure, and The Dead Files are all new. Fridays in the Summer are rough. See you on TV Talk! Elsewhere, Quantico, Cooper’s Treasure, Mystery at Bad Creek Bridge and The Dead Files are all new. Fridays in the Summer are rough. See you on TV Talk! Elsewhere, Quantico, Live PD, Cooper’s Treasure, and The Dead Files are all new. Fridays in the Summer are rough. See you on TV Talk!